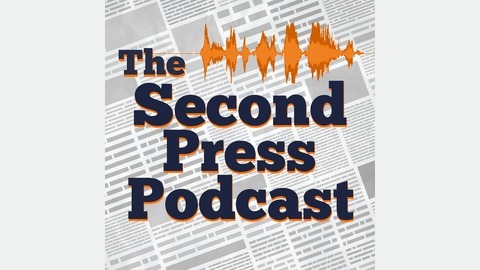 Join Michael ( and sometimes guests) as he curates a comedic and insightful interpretation of current news. Each week, he'll take a quick look at some of the biggest headlines as well as venturing into some of the missed tidbits hidden in the farthest reaches of the internet. Strap in and brace yourselves for The News. This week is the week for great NEWS! Tune in and hear me ramble on about different stories dealing with body parts and also a mysterious death or two? Yup Gonna be fun thanks for subscribing and leaving me a nice 5 star rating! You all rock! Liked the music from this weeks ep? Go check out Soft and Furious where ever you listen to your music! Also thanks to djfroyd from freesound at https://freesound.org/people/djfroyd/sounds/330574/ for the techno loop! Thanks for listening this week. 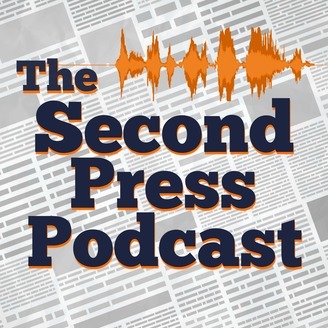 If you have any stories you would like to hear on the show (with a shout out to you of course), please send us the info at thesecondpresspod@gmail.com. See you next week!